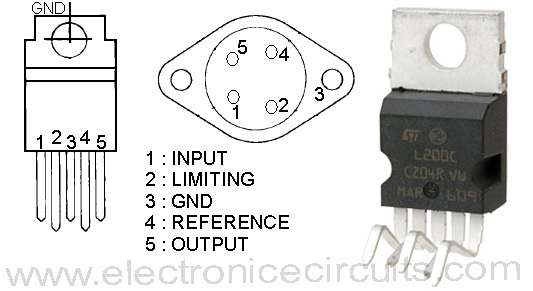 There are applications in which it is important for the supply voltage to be largely independent of the level of the output current, which is, of course, particularly so in the case of variable loads. When the load is linked to the power supply by relatively short wires, a good variable power supply maintains the output voltage at a virtually constant level. Unfortunately, in practice, these wires can be fairly long, and since they have resistance, there is a voltage drop across them. This interferes with good regulation; the only way of avoiding this problem is to link the control part of the power supply to the load via separate sense lines. Unfortunately, this cannot be done readily in every power supply without some tedious work, but as the diagram shows, in the case of the L200 it presents no problems. 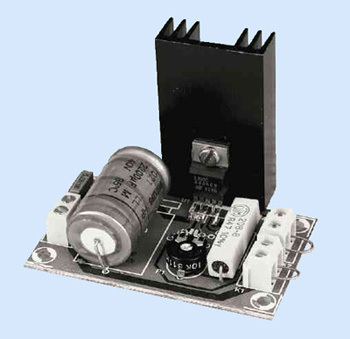 The maximum input voltage to the regulator is 40V, and the peak output current is 2A. The regulator has on-board thermal protection, but this does not mean, of course, that is should not be mounted on suitable heat sink when the dissipation is high. can the unpopulated PCB be purchased.